It's only August, not quite the end of summer reading season. Thought I'd share a few of the books I've been reading this summer. You'll Never Nanny in this Town Again by Suzanne Hansen. I'm a sucker for books like The Nanny Diaries , which tells all about the messed up lives of the rich and famous. You'll Never Nanny in This Town Again is a memoir of a Hollywood nanny, one who had a horrid experience working for CAA founder Michael Ovitz. It's surprising that this book made it through the legal department, given how Ovitz is described in the book as incredibly private and powerful (and used to getting his way). The book was written in the pre-confidentiality agreement days, which is good for this author, since Ovitz (and his wife) do not come off smelling like roses. Hansen details her year working for them, and subsequent jobs working for Debra Winger and the Rhea Perlman/Danny DeVito family. The book was hugely entertaining and a quick read. 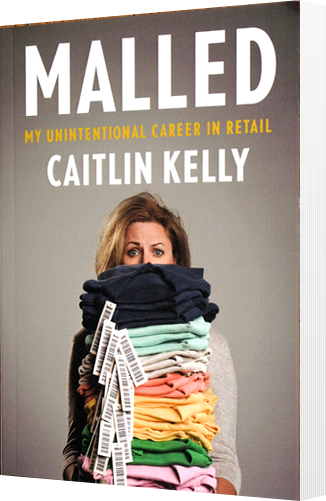 Malled: My Unintentional Career in Retail by Caitlin Kelly. This book interested me because Kelly is a fellow freelance writer. 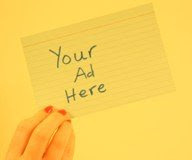 Like many writers, she thought about getting a part time retail job to get some steady income and companionship (working at home can be lonely). She was hired on at the North Face in a suburban New York store. At $9-11/hour, it's hard to imagine much steadiness in that income, especially as Kelly finds out - hours can be cut quite easily, and your earnings drop considerably when you have to pay for parking/transportation, buying mall food for lunch or dinner, and of course taxes. For those who haven't worked in retail, Kelly opens your eyes to how poorly retail employees can be treated by managers as well as customers, corporate rules that make no sense, discouragement for trying to improve sales or the store, and the high burnout rate. 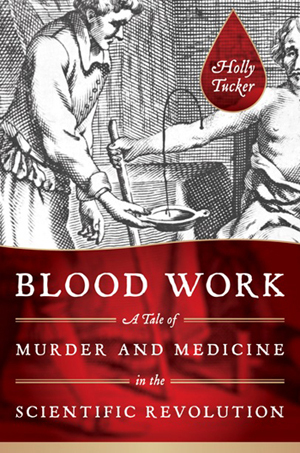 Blood Work: A Tale of Medicine and Murder in the Scientific Revolution by Holly Tucker. I heard about this book more than a year ago, before it came out. I met Holly at a conference and just hearing her describe the book got my intrigued. Please take a look at the extensive review I did here. It's a fascinating book.